From the moment I opened the Healing Acupuncture Center in 1996 here in Austin, my passion has been providing highly effective, compassionate acupuncture care in a safe and comfortable setting, and seeking out the best methods to create health and well-being. I use an integrative approach to treat the whole person, beginning with the acupuncture itself. My life experiences, including my husband’s long cancer journey, have taken me down a multitude of unexpected paths leading to many wise teachers and profound learnings. I love sharing these teachings in my acupuncture practice to help people live in a more heart- and body-centered way. Healing sessions happen in a private, quiet treatment room designed with soft lighting and soothing music. The key to success here is to always listen and answer questions with each client as together we review their current physical and emotional situation. I only use super-fine needles and as few as possible to get the desired outcome. This combination provides a gentle as well as highly effective acupuncture experience for my clients. Back in 1992, I kept getting bladder infections that were unsuccessfully being treated with rounds of antibiotics that for some reason never worked. After months of constant pain, I was desperate. A girlfriend suggested I see a chiropractor who also practiced holistic medicine, which was all new to me. After spending 1½ hours extensively reviewing my health history and asking a ton of questions, he recommended a few supplements and some lifestyle changes. Looking at me as a whole person rather than just as a bladder, he was able to stop the pain. Relief, finally! About a week later, I went for a walk after work glad to be out of pain and mumbled to myself “why I am here?” Much to my surprise, a loud booming voice in my head said, “HEALING!” At the same time, I saw the word in big, black block letters in my mind and then felt an electrical sensation go through my body. Whoa! Sounds wild, I know, but I promise this is a true story! A bit shaken, and wondering what “HEALING” could possibly mean, I turned back towards home. Medical school? Not after having such a rewarding experience with alternative medicine. After much thought, I decided to study acupuncture at AOMA, the new acupuncture school that had just opened up here in Austin. Four years later, I opened my practice and named it the Healing Acupuncture Center in honor of the word “healing” that had so changed my life. What I have learned over the years is that the message of “HEALING” I received back in 1992 was about my own healing. By changing the direction of my life, I’ve been able to tap into the wonderful world of wellness for my clients and myself. I LOVE coming to work and helping others find ease and well-being in their lives! 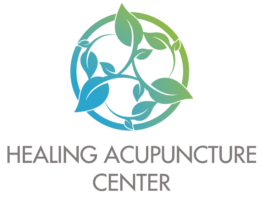 Licensed in 1996, Karen Nunley is a highly trained acupuncturist with a passion to share this incredible form of healing with as many people as she can. She loves to help people feel better so they can live in a more heart- and body-centered way. Karen’s life experiences, including her husband’s long journey of living with cancer, have taken her down a multitude of unexpected paths that have helped shape the profound insights she shares with her patients today. A native Austinite, Karen loves hanging out with her husband, Steve, and their Border collie, Maya Papaya. For fun, she plays in her garden, pumps iron, makes jewelry, crochets or watches the sun set and the full moon rise. Karen graduated from the first class of the Academy of Oriental Medicine at Austin (AOMA) in 1996, and has been in full-time private practice ever since. She is certified by the National Certification Commission for Acupuncture and Oriental Medicine as a Diplomate of Acupuncture. 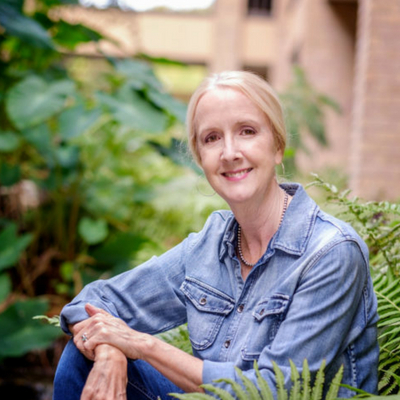 Karen helped to bring acupuncture services to the working poor of Austin, working with AOMA and the People’s Community Clinic (PCC) to develop the first AOMA Student Clinic where she served as its first Clinical Supervisor from 2004-2007. She introduced acupuncture to Hospice Austin, which is now including it as palliative care at Christopher House, their 24-hour intensive medical care site. In 2008, Karen was included in “SAND TO SKY – Conversations with Teachers of Asian Medicine,” the first anthology of global teachers of Asian Medicine written by Pamela Ellen Ferguson, Dipl. ABT (NCCAOM) and Debra Duncan Persinger, PhD. Want to learn more about how acupuncture works? Please read our FAQs.